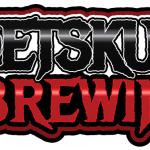 PetSkull Brewing Manitowoc WI Brewery and Tap Room » Southside Amber Lager Returns! Taproom open today at 4:00! This weekend marks our 53rd week of being open. We are celebrating by having beer pour out of some taps and letting it land inside glasses. We’re going all out! As fall approaches, be prepared for the return of our Nutser Brown Ale and Jacked-Up-Lantern Imperial Pumpkin Ale! Finally, big announcement regarding Oktoberfest coming soon….